We have an eclectic assortment of home accessories from around the world, including everything from your kitchen to garden. Check out out blog for landscaping tips and resources. 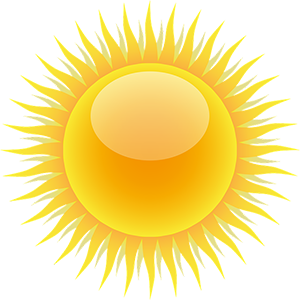 We have everything the hobbyist needs, from informational books, garden tools and supplies, wall clocks and rain gauges to seeds for flowers & vegetables specific to the Desert. The Desert has been offered summer’s full palette this year. We’ve enjoyed mild weather, hot & humid days and rainy days complete with thunder, lightning and wind. We’ve even had a few days of that dry heat we are so famous for. Recent high temperatures have inflicted quite a bit of damage to gardens throughout the Desert. Citrus trees, ficus trees, tropicals & ground cover — just about everything living in the full sun suffered some burn damage in the last few weeks. Hastily planted ‘drought tolerant’ gardens where decomposed granite (DG) was used have suffered reflective sunburn. The ‘browning’ of the Desert is particularly noticeable this summer due to the reclamation of so many green belts throughout our desert communities. It is not pretty to look at but fear not, this too shall pass. Leave your sun burned plants alone, as we march into September temperatures will drop, humidity will rise and new growth will emerge from most of the damaged foliage. Healthy plants are generally not at risk for too many diseases, but plant material becomes vulnerable when suffering from stress due to poor watering habits and weather extremes. A stressed out plant is a prime candidate for all varieties of plant malaise. Cottony Cushion Scale, Pink Hibiscus Mealy Bug, Citrus Leafminer, Bougainvillea Looper, Palo Verde Root Borer Grub/Beetle, Agave Borer Weevil(or Agave Snout Weevil), Red Spider Mite are but a few of the unwelcome visitors. One disease often invites another as the plant weakens. It is important to walk your garden regularly. Check your plants, in between the leaves and underneath them too. If you see something that doesn’t look right, bring us a sample and we will assist in the diagnosis to get you on the road to recovery, certain you are using the right antidote for the job. Too often we rely on gardeners or landscape employees to monitor everything in the garden but we forget their time on the job site is limited; a few short hours a week is not a comprehensive examination of the garden. Don’t forget to check your sprinklers while you are at it. We offer two simple gardening ‘must do’s’. Mid-September is a perfect time to start fertilizing everything in the garden. Plants don’t grow much when temperatures remain high but the minute the thermometer drops, look out. Regular fertilizing will promote healthy new growth. September is also the time to treat for leafminer. 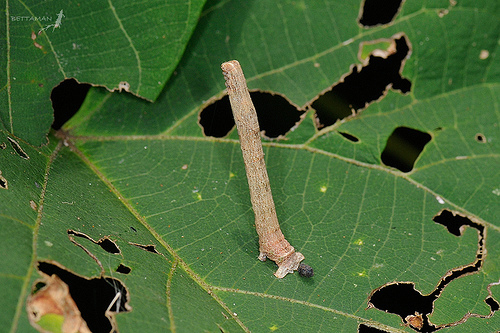 Citrus trees in particular have been greatly affected by this little devil; it is the pest that causes new growth foliage to become severely rippled (as opposed to the gentle bumpiness of thrip). Dose the soil with an insect control drench specific to edible plant material. This kills the leaf miner from the inside out, a sort of penicillin for your fruit trees. 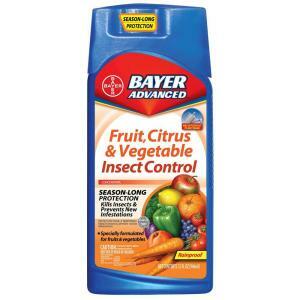 MAKE SURE YOU USE SOMETHING SPECIFIC TO FOOD PRODUCING TREES; we like Bayer Advanced Fruit, Citrus & Vegetable Insect Control. This will keep you ahead of the game. Spray with Captain Jack’s Bug Juice when break thru symptoms are visible. We are here to answer any questions you may have. Once again, following directions with any pesticide is paramount. Depending on the weather, mid to late September is usually a great time to start pruning that which needs pruning. Prune for shape so you will have beautifully laced trees and shrubs to enjoy through the winter. Many like to prune roses this time of year though we don’t recommend it. Shape them if you must but do not defoliate them. Begin a regular fertilizing protocol. Rinse rose foliage occasionally to prevent red spider mite. Shrub roses are a bit more resilient during the heat but the hybrid teas, grandifloras and floribundas have suffered this summer. In a few short weeks, vegetables and herbs will start arriving on the shelves. New plant options for the Desert will be available. Bedding plants and perennials arrive to rid the Desert of this dull brown. Water use should remain efficient through the fall planting season as long as new roots have time to become established. Cooler weather uses less water. 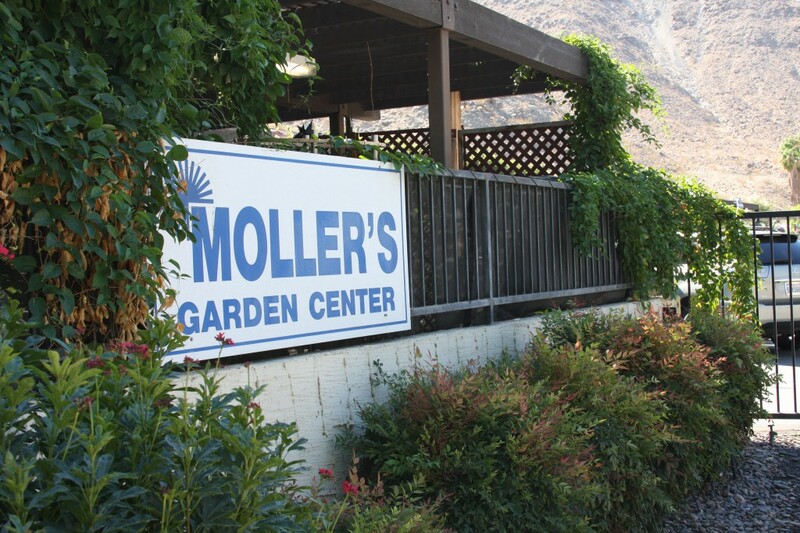 The FLOWER SHOP at Moller’s Garden Center will open for the season on Tuesday, September 8th. Winter hours at the Nursery are coming soon; based on cooling temperatures. Look for gardening hints and new hours on Facebook. Enjoy the remaining weeks of summer. Sign up for our newsletter for useful tips and info for your garden! © 2014-2019 Moller’s Garden Center, Inc.